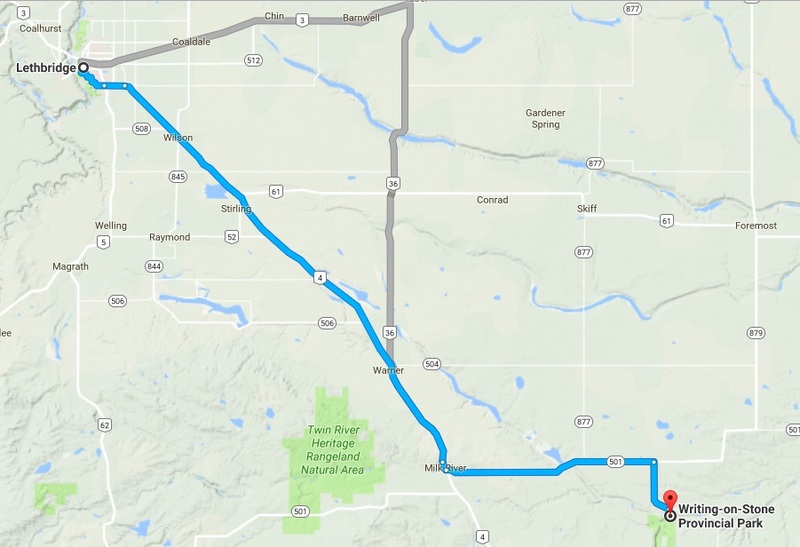 This isn’t really a report on a hike, but rather a nod to one of our family’s preferred outdoor playgrounds. Today was a “free” day for our family, and I was anxious to do a hike, specifically Goat Lake in Waterton. 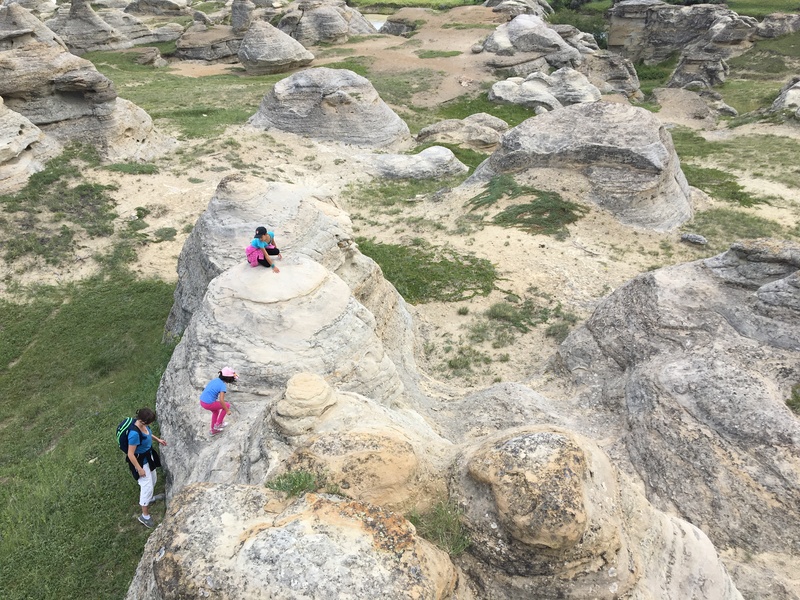 We didn’t have anyone to watch the kids, though, so we decided to go to Writing on Stone Provincial Park instead. 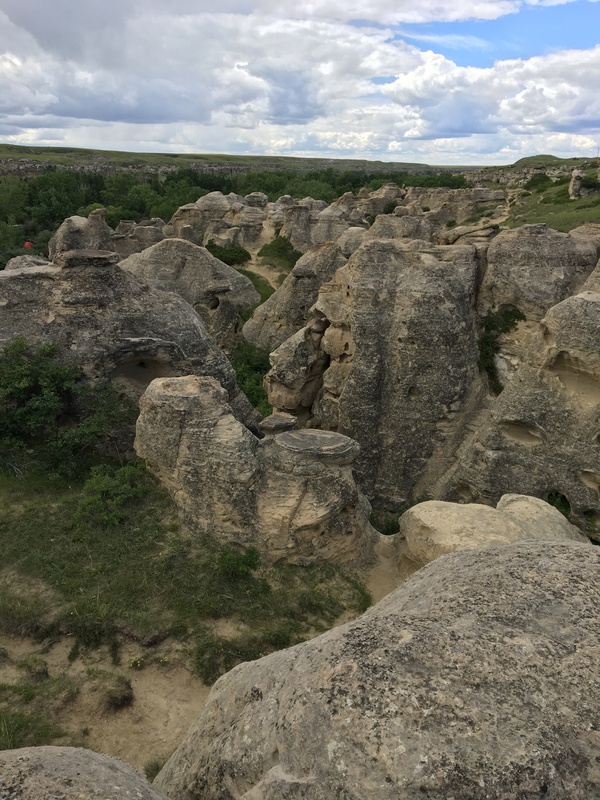 For those who haven’t heard of it, Writing on Stone Provincial Park is located in the far south of Alberta, nearby the town of Milk River. It is the site of one of the major collections of First Nations rock art on the plains. Tours are available to view the pictographs, and there’s a small interpretive centre with free admission. Quite apart from the archaeology, the site also has cultural and spiritual significance to First Nations. 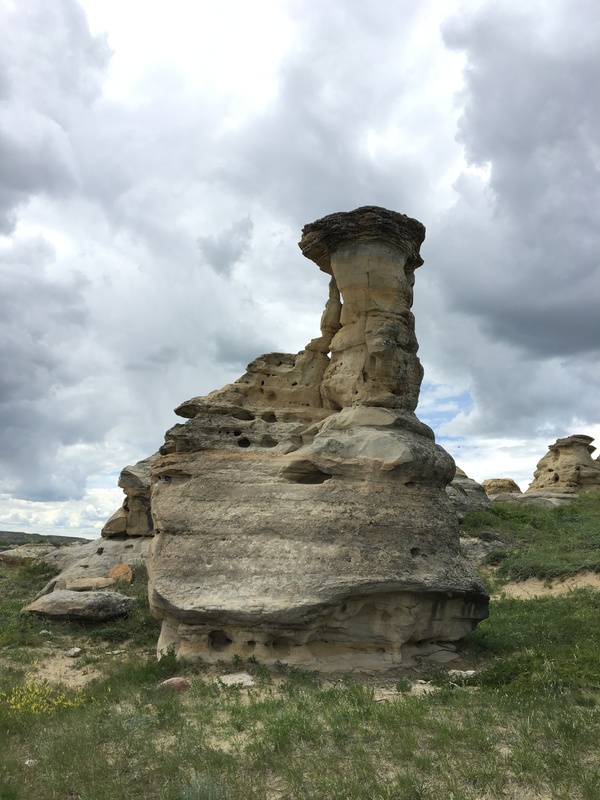 Wikipedia can fill you in, but there’s also a nice chapter in Neil Jennings’ In Plain Sight: Exploring the Natural Wonders of Southern Alberta. The areas where there are pictographs present are protected, but there is a huge swath of sandstone formations that are freely accessible for your climbing pleasure. This is a perfect place to take kids. The rock is very “grippy” and there’s a seemingly never-ending variety of rock formations to climb over and around. There’s a 6 year age gap between our youngest and oldest, and everyone has fun at Writing on Stone. In the summer months, it can get brutally hot down by the sandstone, so bring water and hats. There isn’t really much of a formal trail system to follow, you just wander and climb. Best of all, the sandstone is immediately next to the parking lot. You just get out of the car and start climbing. Looking down from a high point, you get a good idea of the terrain. Tons of sandstone formations of varying height and steepness. Everyone can find something fun to climb. A hoodoo formation sitting apart from its fellows. This gives you and idea of the vast stretch of sandstone that is available to climb.